Whether your interests include corporate finance, real estate, or investments, the Finance major in the School of Business at FMU is your destination. The study of finance will help you develop the skills needed not only to make the decisions important to business, but also teach you why those decisions are important to the company, the stockholders and the stakeholders. The faculty brings a depth of real world experience from backgrounds in industry, government, and consulting. Small class sizes give you an opportunity for individual attention to help you succeed. 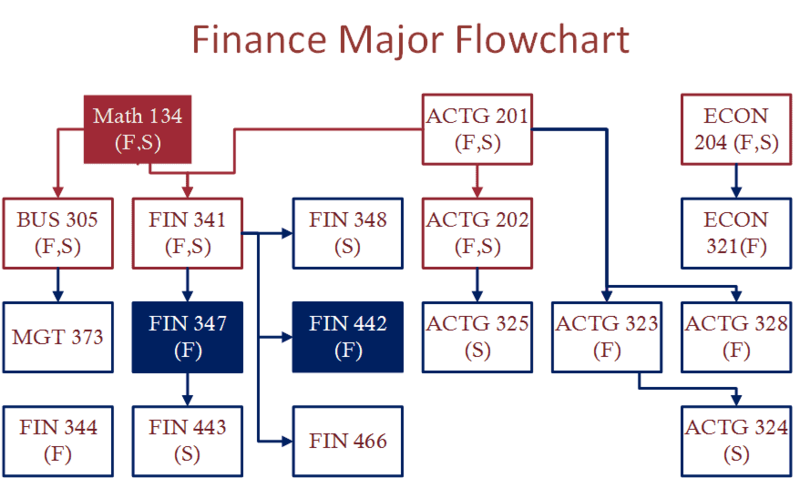 The Finance major at FMU provides an outstanding learning environment and the knowledge necessary to help you be successful in a career in business or finance. In today’s highly competitive environment, businesses are seeking business solutions. Our finance graduates pursue graduate study (MBA and Ph.D.), as well developing successful careers in business and government. Examines investment alternatives available to the individual. Insurance programs, real estate, and securities. Emphasis on the analysis of securities and the operation of the securities market. Sources of personal income, saving and consumer spending patterns. Development of techniques for planning and budgeting consumption expenditures and saving, with special emphasis on the use of saving allocations to achieve personal goals; real property, insurance, financial investment, retirement, estate and tax planning, time value of money, and applied statistics. Study of the financial functions of economic entities including financial analysis, financial planning, current assets management, capital budgeting, obtaining funds from the capital markets, and international finance. Computer applications. Study of basic real estate principles, including land economics and use, property evaluation and appraisal; and the legal, regulatory, and financial aspects of property sales, ownership, and management. Topics include an introduction to various securities markets and instruments, investment media, and applications. Quantitative methods, including computerized techniques, are applied to risk-return, growth, and valuation analysis. Modern Portfolio Theory is applied. This course will provide the student with the skills necessary to evaluate stocks, bonds, mutual funds, derivative securities and/or other securities and their impact on the investor’s portfolio. This course covers the aspects of owning and using real estate. The course examines the bundle of rights associated with real estate and the transfer of those rights. It focuses on legal instruments, real estate brokerage, financing methods and sources, and investment analysis. This course is useful to individuals seeking to take the salesperson or broker exam. Study of advanced financial problems encountered by a firm in investments, in management of assets, in obtaining of funds, and in special situations. The application of financial principles to financial markets and institutions. It addresses key financial markets, such as the money, bond, stock, mortgage, and options markets, along with the financial institutions that facilitate these markets. Designed to further the study of the financial management of a firm’s current assets and current liabilities, this course completes the fundamental knowledge and skills required to be a cash manager in a modern business. Completion of this course is one of the requirements for a student to participate in the Certified Cash Management Associate Program. This course will introduce and prepare students to manage the finances of a healthcare organization. Students will be exposed to financial statements and their analysis, time value of money and its use in decision making, and capital budgeting and its use in the ongoing financial process of the organization. The course will also cover topics designed to determine the viability of projects. This course does not count toward the Bachelor of Business Administration (B.B.A.) degree.